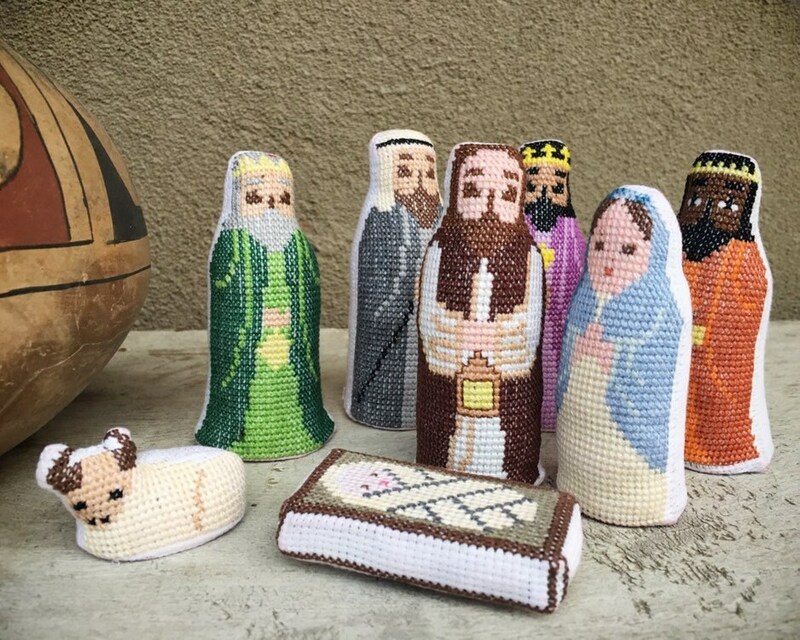 This vintage Nativity Set is pretty adorable, made with cross stitch on fabric. Each of the pieces has the name Julie on the bottom, who I presume is the artist who made them. 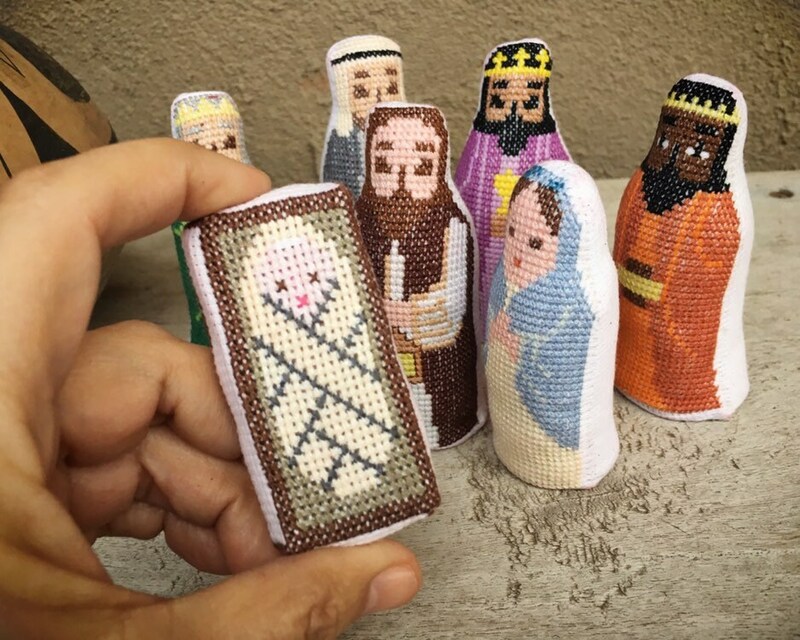 The Christ child is cross stitched over a matchbox, the corners of which are no longer firm. 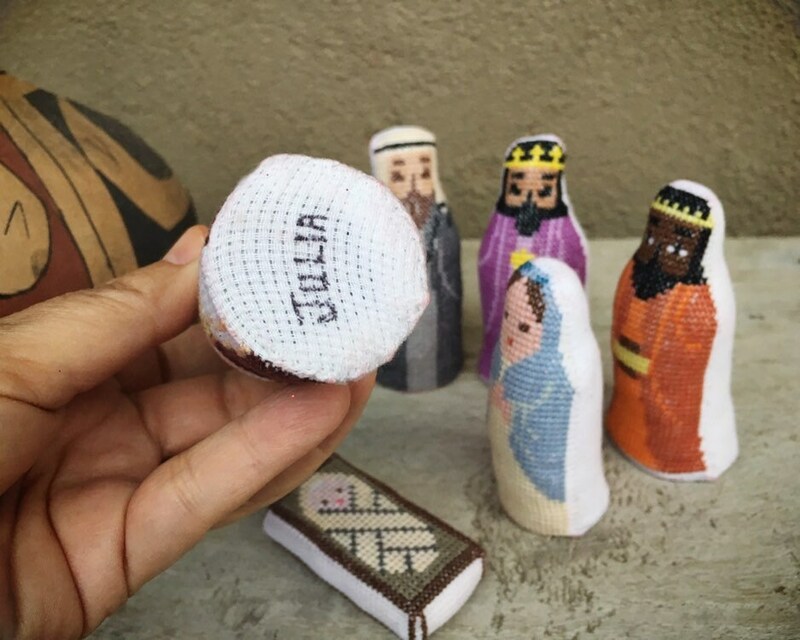 Perfect if you are a collector of Nativity scenes and want a more unusual one to add to your collection. 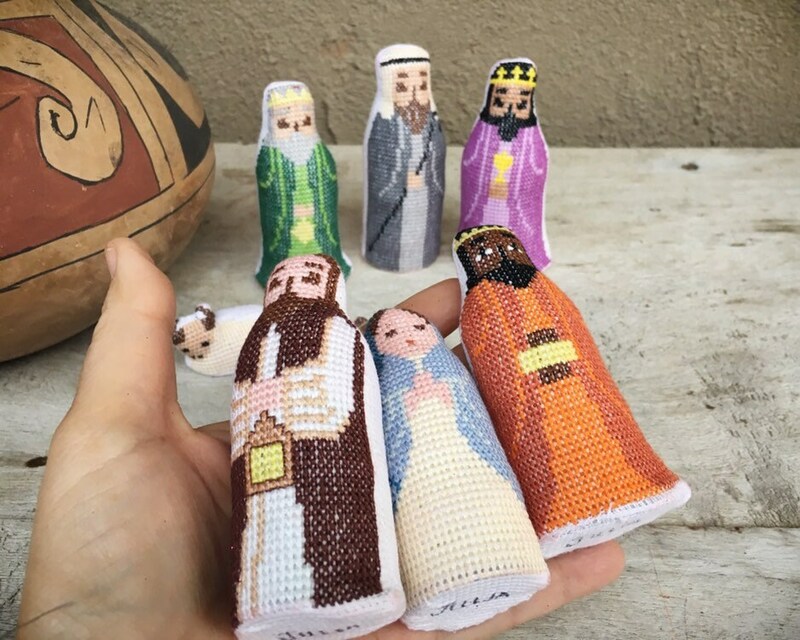 The largest figure in the set measures 4" tall and the smallest is 1/2". 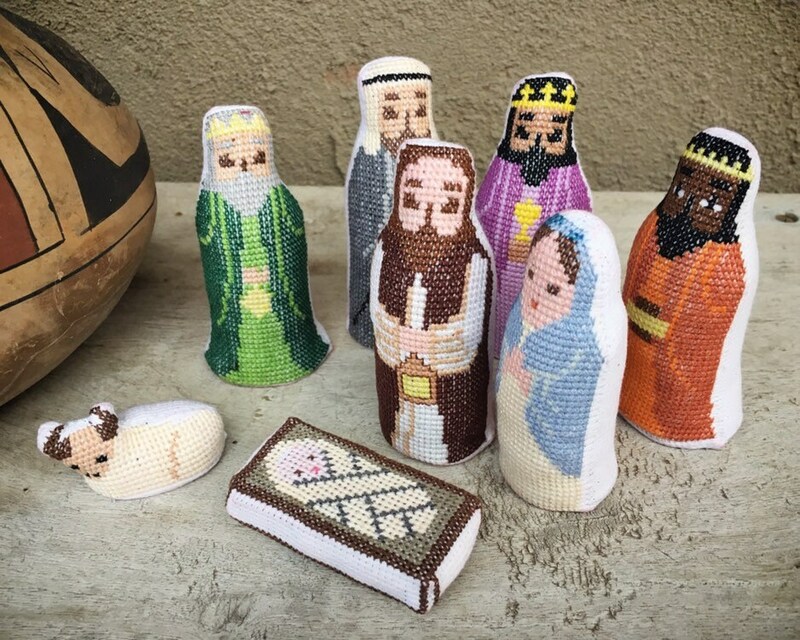 A bit of discoloration from age, and that matchbox Baby Jesus not having firm corners. Otherwise in good condition. 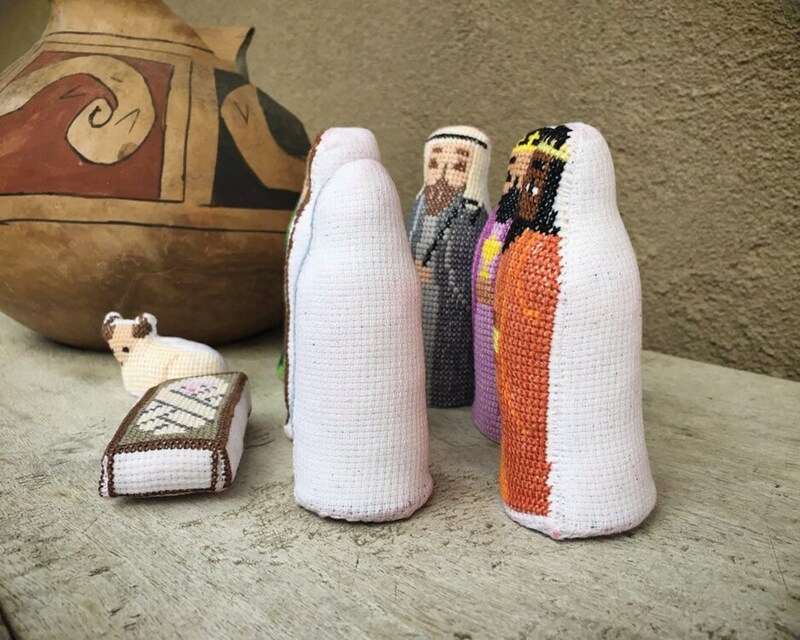 A sweet and different Nativity scene.